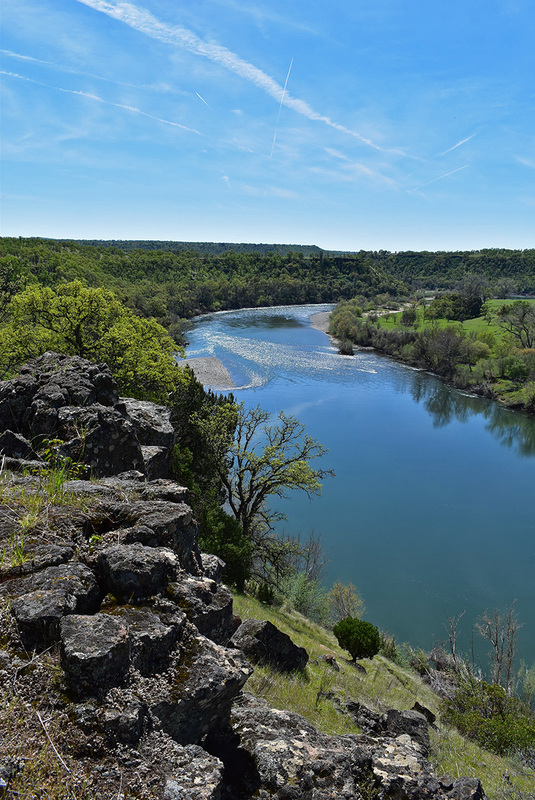 The Sacramento River Bend Area is former ranch land now managed by the US Bureau of Land Management. On our public's behalf, BLM is removing fences and converting old 4WD routes to trails. It may be the best winter-time hiking area in the North State. 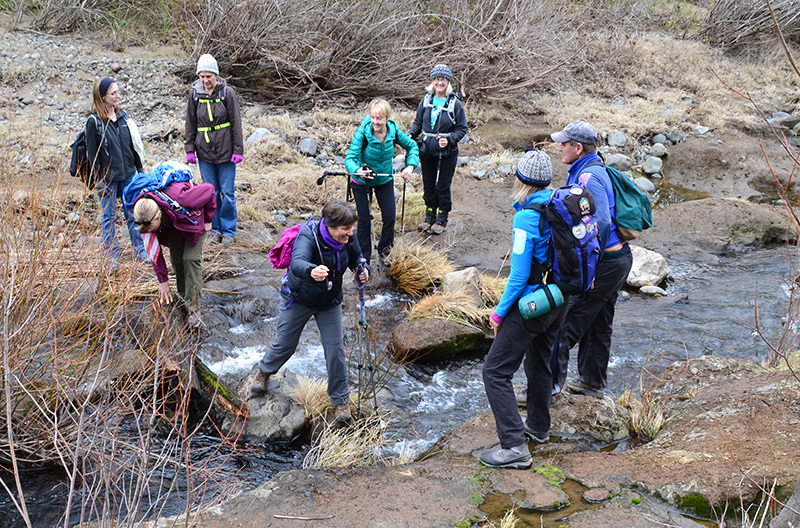 This hike follows the river, climbs gently up bluffs, and drops into creekside valleys. Fine views, on clear days, of Lassen Peak and Mount Shasta. The ford of Inks Creek is probably impassable for a couple days after major storms. It is usually easy a week after storms. In between use your judgment and do not underestimate the power of flowing water. There is no automated gauge of the flow of Inks Creek. About May 1st the grasses go to seed (stickers in your socks), and in that season are a lot of flies and mosquitos near the creeks and river.